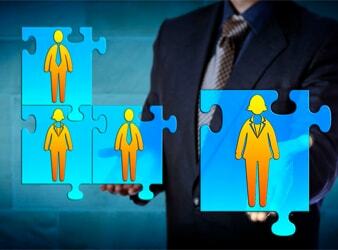 The dynamics of recruitment process have changed drastically over the years. What earlier used to be a more complicated, disorganized and lengthy process, has somewhat become more structured and less time-consuming. After all, with growing demands for top talents, organizations are left with no option but to let go of their rigid hiring process and incorporate the more flexible one. Unless there is a requirement for freshers, most of the organizations want to hire only experienced candidates for the vacant positions. They source and shortlist the best potential candidates with extraordinary skills and start approaching them. But the problem lies with how these in-house recruiters reach out to the already employed individuals. Once the initial shortlisting is done, the in-house recruiters start calls to these best-suitable candidates for the available opportunities. Recruiters, while contacting the candidates, totally ignore the fact that these candidates are at their current workplace which would restrict them from engaging in a detailed conversation. In fact, most of the candidates don’t prefer discussing the new opportunities during office hours altogether as it might risk their current job. Hence, they delay in responding and eventually lose out on the offer. When both recruiters and candidate’s office hours are more or less the same, it leads to a big problem. Moreover, the in-house HR teams, in most cases, have no other channel to reach out to these candidates. The ideal solution here is to connect with the candidates according to their convenience and comfort. That is possible when organizations have recruiters who have a flexible work schedule who can contact potential candidates even after their office hours. While it may be difficult for in-house recruiters, a professional RPO (recruitment process outsourcing) agency can make that possible. The RPO agencies have a strong team of recruiters, including virtual recruiters, who smoothly handle all the complexities of such a tedious hiring process. From initial screening to scheduling interviews, every process is handled hassle-free with RPOs on-board. A RPO firm contacts the candidates outside the normal 9-to-5 work shift, unlike in-house recruiters. Reaching out during off-hours facilitates a worthy conversation about the job opportunity as candidates readily respond to take things further which may not be possible in case of in-house recruiters. That’s because in-house recruiters don’t work out of their regular shift and even if they do, they ask for higher compensation that increases the organization’s costs. On the other hand, a RPO team provides services at a mutually agreed costand they even work in the off-hours. If the RPO agency is based in a different time zone than you, that’s even better. That way, they will be working on a different shift than your in-house team letting your employees save ample time. If you think it would be hard to coordinate then think twice because a RPO team will provide you regular follow-ups of all the latest developments in the recruitment life cycle. So in simple terms, your organization will get a team working in a flexible time zone in addition to the ones following a regular schedule. In the end, all these efforts of a RPO team facilitate faster filling-up of vacancies at your organization without compromising on the quality of talent. As the organization’s success largely depends on its workforce, employee selection should be done wisely and no one can help you do that as a professional team of a RPO agency.